The mission of City College is to educate and train students in their chosen major, in preparation for employment in specific career fields. City College awards Associate of Science or Bachelor of Science degrees based on the student’s successful completion of required coursework. CULTURE: We believe in cultivating a fun, cohesive and inclusive environment. INTEGRITY: We believe it is our responsibility to act with integrity in all matters. RELEVANT: We believe in the ability to adapt our education and training to the needs of our community. COLLABORATION: We believe in building trust and developing a common understanding to achieve our vision. GROWTH: We believe that by being a thriving company, we are better able to serve the growth in our community. ACCOUNTABILITY: We believe in being, developing and empowering accountable proactive professionals within our community. REWARDING: We believe that serving the community is rewarding. Our career-focused programs will provide you with the skills and abilities that are in high demand in the workplace. You’ll learn from dedicated instructors with extensive experience in the fields in which they teach. You’ll get valuable, real-world experience working with a variety of equipment in our state-of-the-industry labs. City College offers an up-to-date curriculum, developed with industry input that will equip you with the skills and resources to succeed. City College’s small classes ensure personalized attention for each student. We offer plenty of resources to help you succeed in your studies, including free tutoring from your instructors. 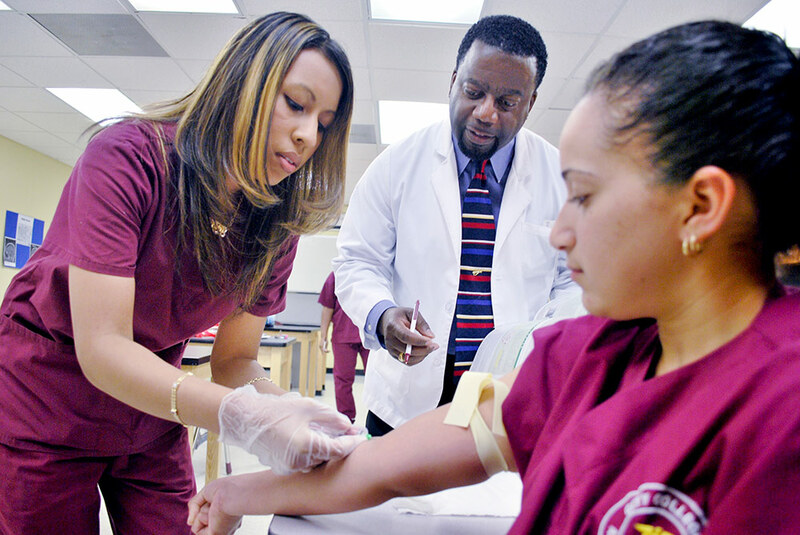 City College is institutionally accredited by the Accrediting Bureau of Health Education Schools (ABHES). City College’s Office of Career Services offers ongoing career assistance to students and graduates. Our flexible day, evening and online classes fit your busy lifestyle; allowing you to focus on education while balancing work and family responsibilities. At City College, we’ll prepare you for a rewarding new career in less time than traditional colleges. To encourage students to realize the importance of reaching personal and professional goals through self-motivation, individual growth and the pursuit of excellence. To continually evaluate and appraise every facet of City College’s programs to ensure relevance to the needs of the employment community, effective preparation of students for success in career and compatibility with City College standards. To offer sound educational programs at the diploma, associate and bachelor degree levels.